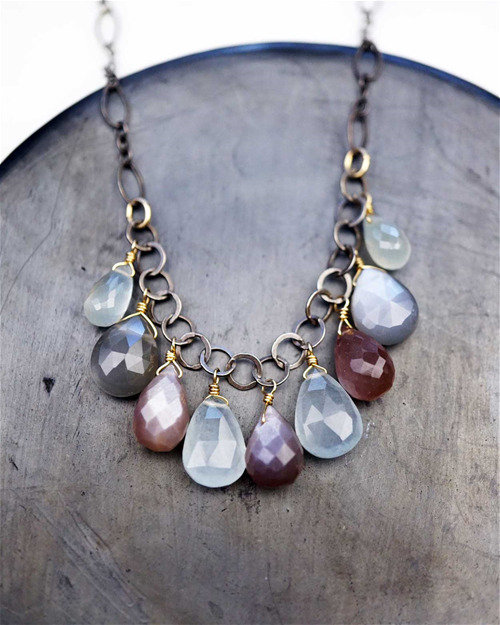 Calliope’s Pools of Light and Shades of Grace collections combine oxidized sterling silver and 14k gold-filled wire and chain with high quality, hand selected freshwater pearls and semi-precious gemstones. Oxidized sterling silver chains with gorgeous high quality chocolate moonstone, aquamarine and grey moonstone drops wrapped with14k gold-filled wire. Simple yet stunning. 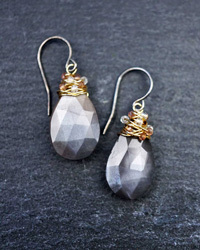 Shimmering grey moonstone drops wrapped with gold-filled wire, accented with tiny quartz and chocolate moonstone beads. 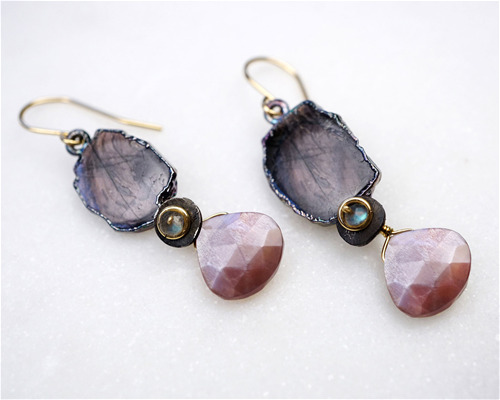 Grey moonstone arrowheads and chocolate moonstone bars dotted with gold beads and suspended from sparkling 14k gold-filled chain. 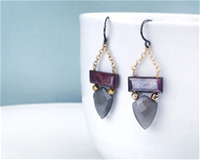 Unique and fun! Large vibrant labradorite drops mixed with grey moonstone and oxidized sterling and gold-filled chains. 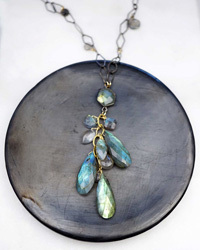 An amazing statement piece necklace. Oxidized silver bezeled hypersthene with silky chocolate moonstone drops. You've got to see these move to really see how amazing this stone is! Hypersthene has so much depth and changes color depending on the angle you're seeing it from.